Do you want Sonic's friends to be brought back as playable characters in the Main Series? This petition is a document that allows gamers, and more specifically fans of the Sonic The Hedgehog franchise, the freedom to show their recognition of the importance, relevance and credibility of other characters in the world of Sonic the Hedgehog. 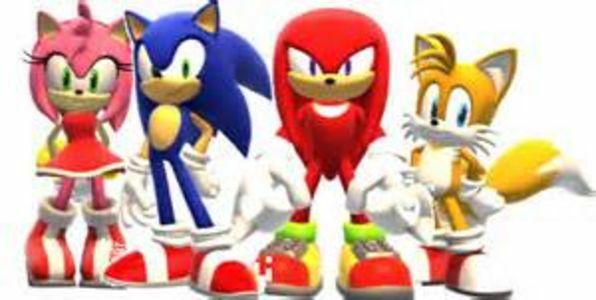 By signing this petition, you not only recognize the core value of characters such as Miles "Tails" Prower, Knuckles the Echidna, Amy Rose and others, but you are also calling to bring attention to the issue of their status as optional playable characters in the Main Sonic Series (i.e. Sonic Colors, Sonic Generations and Sonic Lost World). This does not include any Spin-Off subseries such as Mario and Sonic at the Olympic Games nor Sonic Boom. With your signature, you are voicing your belief that Sonic's friends deserve to be reinstated into Sonic Main Series games as optional playable characters. The creation of this petition stems from the recent history of the Sonic franchise and how the franchise as a whole has been handled by the likes of Sonic Team and by Sega of Japan and Sega Sammy Holdings by extention. Fans have been told by Sonic Team various reasons for not implementing any of Sonic's friends for the Main Sonic Series, such as "We need to establish Sonic's core gameplay first". Fans have basically been told to wait for a decade and possibly longer ever since Sonic 06. All signatures of this petition will together represent a simple message: 1) Sonic's friends deserve better opportunities and more respect in the way that they are used and portrayed in Sonic games, 2) The views of a few companies such as IGN, GameInformer and GameSpot are NOT the same as the views of fans, 3) As fans of characters not named Sonic, we are defending the characters that we have love and respect for, and we suggest that Sega Sammy Holdings, Sega of Japan and Sonic Team do the same. My Goal: Once enough signatures have been received, I will go to the next scheduled gaming convention or Sonic fan convention where Sega and Sonic Team will be present, and I will reveal this online petition and a separate ink pen only paper petition to them. This is my way of getting to the bottom of an issue that should have been already addressed years ago. I appreciate your help.